Removing parking requirements can revitalize downtowns and increase housing choice. When cities require off-street parking with all new residential construction, they shift what should be a cost of driving—the cost of parking a car—into the cost of housing. A price drivers should pay at the end of their trips becomes a cost developers must bear at the start of their projects. Faced with these minimum parking requirements, developers may build less housing, and the housing they do build may be more likely to include parking. Parking requirements could therefore reduce both the amount and variety of housing in a city. Will parking requirements always have this impact? No. In low-density areas where parking is cheap and most people want it, developers might build lots of parking even if it isn’t required. In downtowns and inner cities, however, parking requirements could profoundly alter the housing stock. Downtown land is expensive, its parcels are often small and irregular, and its buildings frequently cover their entire lots. In these situations, any on-site parking must be subterranean or structured, which is always expensive and sometimes physically impossible. When parking is difficult to provide, laws that require it on-site with housing are laws that constrain the housing market. Minimum parking requirements can make it difficult to build housing for certain people, on certain parcels, in certain buildings, or in certain neighborhoods. When cities require on-site parking with every unit, developers cannot build housing explicitly for people without cars (who are often low-income), or for people who own cars but are willing to park off-site. The law also makes it difficult to construct housing on small parcels. Nor can developers easily convert old buildings into housing. Central cities have many architecturally and historically significant buildings that predate widespread vehicle ownership and thus lack parking or the space to add it. These old buildings should be a competitive advantage for cities; they are a pleasing amenity most suburbs lack. If parking requirements keep these buildings vacant, however, they become albatrosses rather than assets. And if old buildings and small parcels dominate a neighborhood, as they do in many inner cities, then parking requirements can stifle an entire neighborhood’s growth. Parking requirements could, in sum, obstruct infill development, affordable development, and neighborhood redevelopment. Minimum parking requirements can make it difficult to build housing for certain people, on certain parcels, in certain buildings, or in certain neighborhoods. The logic above suggests that if cities remove parking requirements, they will encourage more and more varied housing. 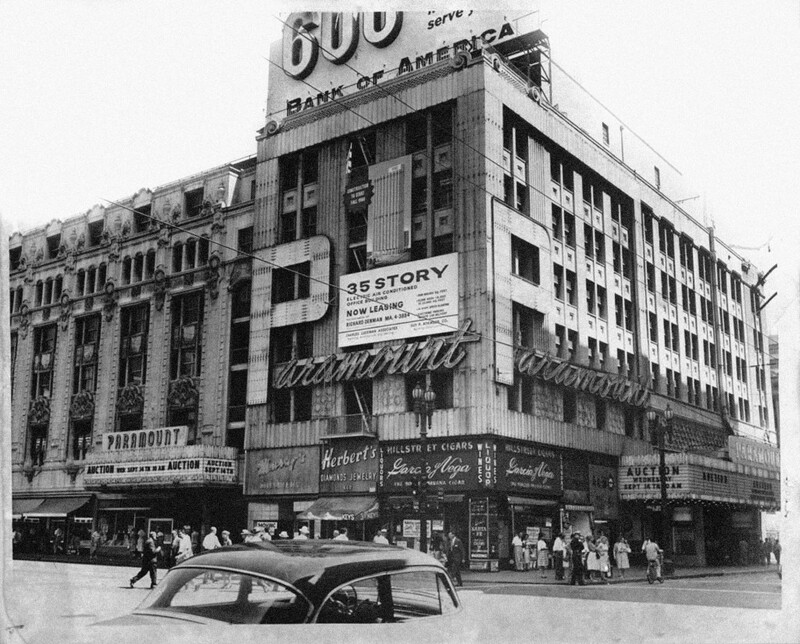 In 1999, the City of Los Angeles put this idea to the test by enacting an Adaptive Reuse Ordinance (ARO) for its downtown. The ARO was designed to convert vacant commercial buildings into housing. The law had three components. First, it allowed these buildings to use an alternative fire and earthquake code. Second, it allowed developers to change the buildings’ use (from commercial or industrial to residential) without variances, thereby avoiding lengthy appeals and delays. Last and most important, the law exempted the buildings from minimum parking requirements. Although developers couldn’t remove any existing parking, they also didn’t have to add any. If developers chose to provide parking, it didn’t have to be on-site or reserved for residents. And unlike developers of conventional buildings, ARO developers could lease spaces to commuters, businesses, or visitors. The ARO thus provided an opportunity to answer two questions. First, would removing parking requirements help convert these empty buildings, many of them vacant for decades, into housing? Second, and perhaps more interesting, were downtown‘s parking requirements influencing the type of housing produced there? Because new ground-up housing was still subject to parking requirements, the ARO turned downtown into a laboratory for parking regulation. The law created a set of downtown buildings that faced the same market conditions as other properties—the same amenities, crime levels, and transit access—but that did not have minimum parking requirements. The ARO therefore lets us compare what unregulated developers did with what they would have had to do if they were regulated. The law also permitted a comparison between unregulated developers and those facing parking regulations. Did the unregulated developers provide less parking than zoning would have called for, and less parking than their regulated counterparts? If so, how did this affect the quantity and type of type of housing built? To answer these questions, I surveyed 56 ARO developments and gathered information about how they provided parking. I also examined over 1,500 downtown housing units using real estate transaction records, and interviewed planners, developers, and architects involved in converting ARO buildings into housing. What I found suggests that when cities remove parking requirements, developers build more housing with less parking, often in buildings and neighborhoods they had long ignored. The exact number of downtown housing units the ARO created is hard to determine, partly because the city doesn’t keep precise records, and partly because LA’s downtown boundaries aren’t clearly defined. Almost everyone agrees, however, that the law generated a lot of housing. By my own conservative count, between 1999 and 2008 developers used the ARO to create about 6,900 units in downtown LA. Between 2000 and 2010, downtown LA added a total of 9,200 housing units, so the ARO accounted for over 75 percent of that decade’s housing construction. Between 1970 and 2000, downtown LA added 4,300 housing units; the ARO created more housing in less than ten years than had been created in the previous thirty [Figure 1]. The ARO buildings were disproportionately old—their median year of construction was 1922—and many were near each other. Thousands of ARO housing units are clustered in a single census tract. 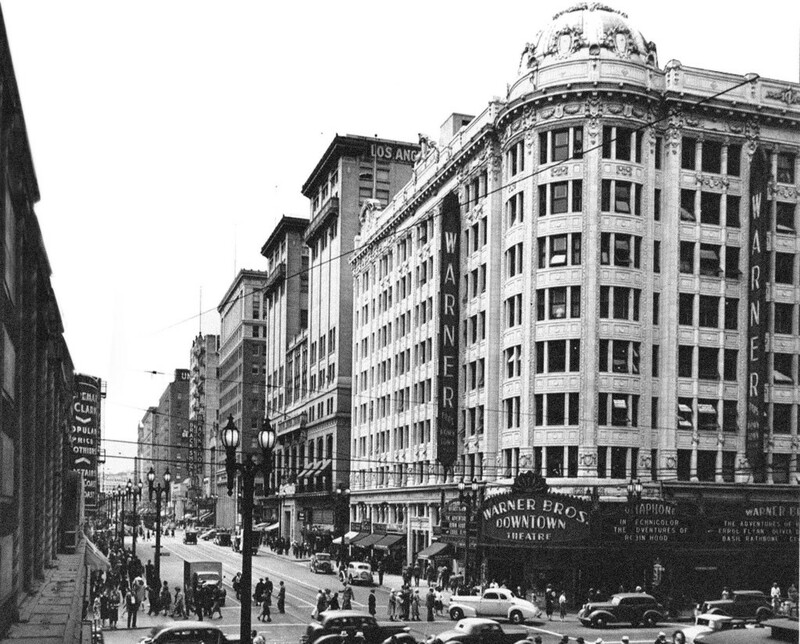 Once known as the “Wall Street of the West,” this neighborhood was home to Bank of America’s headquarters, the Los Angeles Stock Exchange, and other financial institutions. 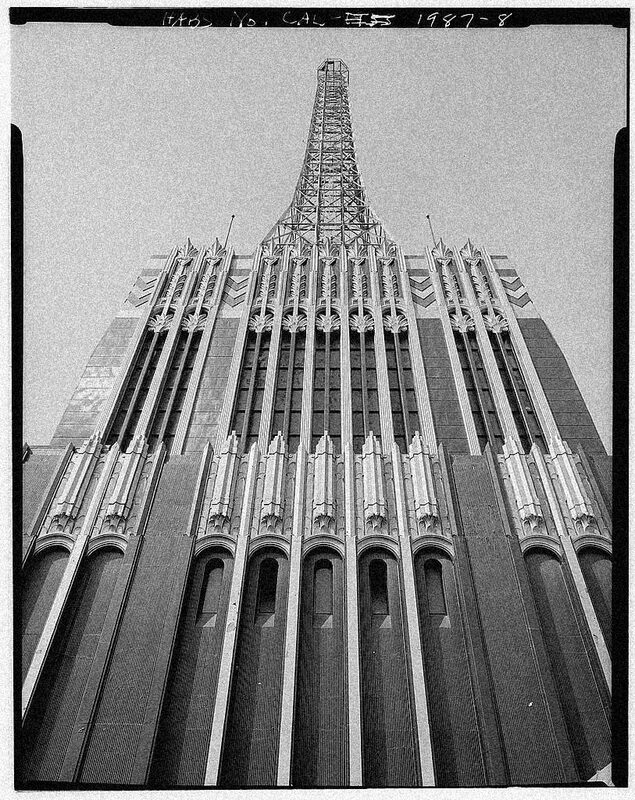 The area has the nation’s largest collection of intact office buildings constructed between 1900 and 1930, many of them exemplars of West Coast Beaux Arts and Art Deco architecture, and is listed on the National Register of Historic Places. 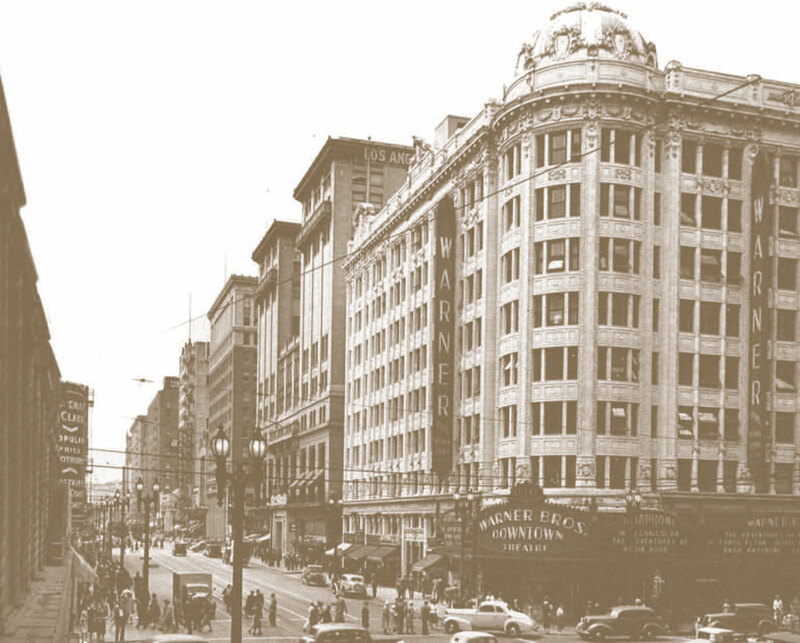 In the 1960s, however, this elegant district began to decline, and in 1982 the Los Angeles Times described it as “a neighborhood of hoodlums, derelicts and winos … echoing buildings full of absolutely nothing above the ground floor.” In 1980, the census tract had just over 3,100 housing units and 1,700 residents. Subsequent housing growth was tepid; by 2000, the tract had just over 3,600 housing units. From 2000 to 2010, however, the area came to life. Both the housing stock and population more than doubled, and ARO buildings accounted for most of the increase. 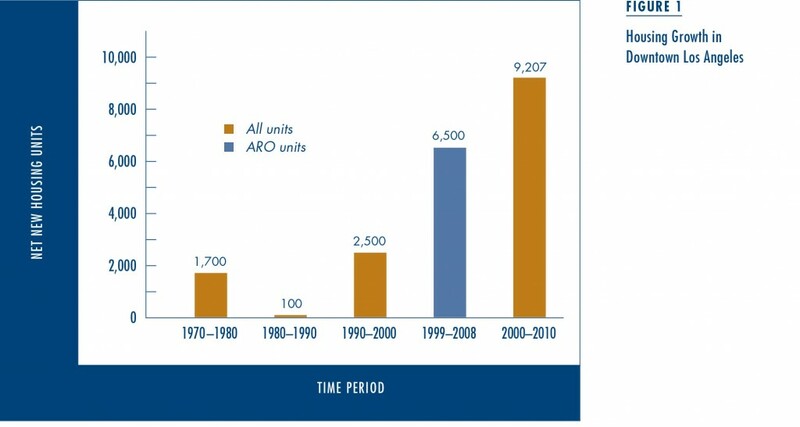 A dozen large ARO conversions alone created over 2,200 housing units. 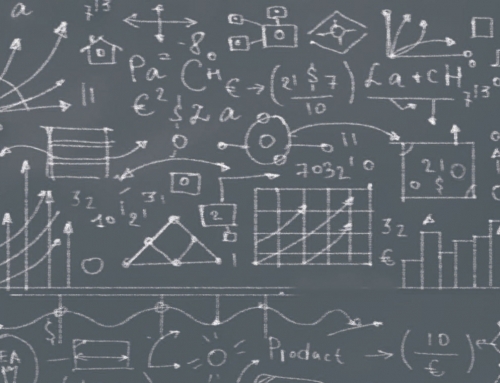 Housing booms are easier to document than explain. What caused the downtown turnaround? Was the ARO’s parking deregulation specifically responsible for all this development? My interviews suggest that parking reform was a necessary but not sufficient condition for the ARO’s—and neighborhood’s—success. Simply removing parking requirements would not have let developers convert these buildings to housing, because the buildings didn’t conform with many aspects of the zoning code. At the same time, however, most respondents said that without removing the parking requirements, the conversions would have been impossible. If parking requirements prevented adaptive reuse, we should see ARO developers provide less parking than conventional zoning would mandate. Apartment developers must provide one covered, on-site parking space for each rental unit of up to three “habitable rooms” (kitchen, common area, or bedroom). In larger buildings with larger units, the city requires 1.25 covered, on-site spaces per unit. Condo parking requirements are at the discretion of a special planning advisory agency, which until 2005 usually required 2.25 to 2.5 covered, on-site spaces per unit. After 2005, however, the agency began requiring fewer spaces, often two spaces per unit and sometimes as few as 1.5. 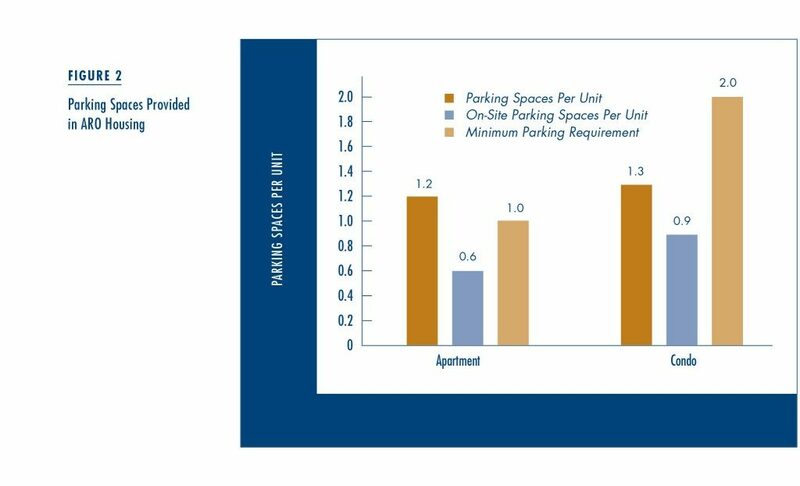 Figure 2 compares these requirements to the amount of parking ARO developers actually provided. I conservatively assume that, without deregulation, the city would have required one space per unit for all ARO apartments, and two spaces per unit for condos. Deregulated apartment developers actually provided more parking than zoning would have required. The downtown requirement calls for one space per unit, and ARO developers provided an average of 1.2 spaces. But these averages don’t tell the whole story, for four reasons. First, the baseline is conservative; many apartments would actually have required 1.25 spaces each, and many condos 2.5 spaces apiece. Second, the averages mask substantial variation. Some upscale apartment buildings provided two spaces per unit, while others provided less than one, and one building provided none at all. With parking requirements, any variation below the minimum would have been illegal. Third, some of these buildings had large amounts of pre-existing parking (one building sat atop a parking structure), and these spaces bias the count upward. Fourth and most important, the average ignores the parking’s location. Stricter parking requirements will have a bigger influence on housing development, and stringency is determined not just by how many spaces the city requires, but where the city requires them. LA requires all parking on-site. Requiring parking on-site can make construction costs rise rapidly. On a tight parcel the first four surface spaces might cost $4,000 apiece, but a fifth space could require building structured parking or digging a garage. That last space could cost tens of thousands of dollars—far more than any value it adds to a housing unit. Letting developers provide some or all parking off-site lets them control the cost of that next space. Rather than dig costly garage spaces, developers can rent existing spaces nearby. 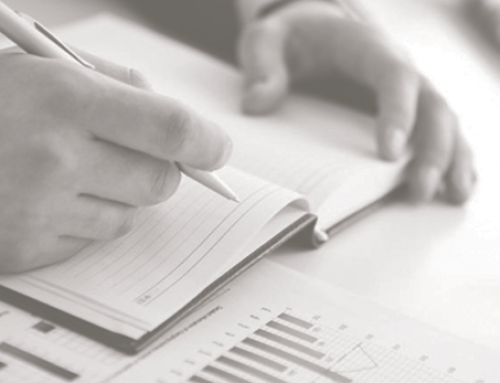 ARO developers took full advantage of the law’s locational flexibility. ARO apartment buildings provided an average of 1.2 spaces per unit, but only half of those spaces were on-site. The rest were usually leased from nearby parking structures or lots. Had ARO buildings been subject to the downtown parking requirement, all spaces would have had to be on-site. With ARO condos, the disparity between zoning requirements and developer behavior is even larger. The 19 condo buildings in the sample account for just under 2,100 housing units, and on average, each condo unit has 1.3 parking spaces, much less than zoning would require. Yet as was the case with rental units, the difference is magnified when we take the parking’s location into account. ARO condos provided less than 1 space per unit on-site. Sixteen of the 56 ARO buildings provided all their parking off-site, while an additional nine buildings offered tenants some combination of on- and off-site parking. Twelve more buildings provided at least some parking in an uncovered surface lot, which would also be illegal under LA’s parking requirements. Since most housing includes parking, new housing without parking diversifies the housing stock. And because this new housing lacks parking, it might also be less expensive. According to the Census Bureau’s American Housing Survey, 90 percent of LA’s housing units include a parking space in their rent or purchase price. In contrast, over one third of the ARO buildings did not include parking in the price of their units. This probably isn’t a coincidence. Developers often bundle parking with housing because parking requirements force them to oversupply spaces, at costs well above what those spaces could sell for on their own. Developers thus have little choice but to bundle the parking’s cost into the housing price. In addition, LA requires developers to reserve parking spaces for residents. This rule, which virtually guarantees bundled parking, helps no one. Developers can’t sell extra spaces to non-residents who want to buy them, and residents without cars are forced to pay for parking they don’t want. Freed from these rules, ARO developers unbundled their parking. I analyzed statistics for 1,559 downtown lofts for sale or rent in downtown LA. These units were in 45 different buildings, 29 of which were converted to housing using the ARO. ARO apartments were three times more likely to be offered without parking as non-ARO apartments (13 percent to 4 percent), and ARO condos twice as likely (31 percent to 14 percent). My results also suggest that units without parking are less expensive than units with parking. Controlling for many other differences, bundled parking was associated with about $200 a month in additional rent for apartments, and over $40,000 in additional selling prices for condos. Unregulated developers supplied a different, less expensive product than regulated developers. 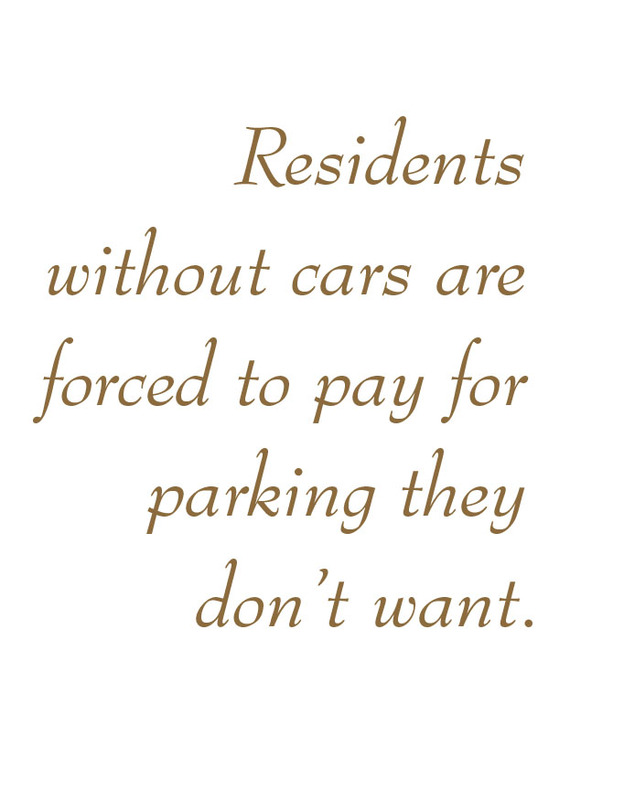 Residents often worry that without parking requirements, developers won’t build parking at all, leading new residents to park on and congest the street. The ARO shows that such fears needn’t come to pass. Many housing buyers and lenders want parking, so most developers provide it. The ARO’s parking exemption was valuable not because it let developers forgo parking completely, but because it let them supply parking creatively. If developers thought they could sell some units without parking or with parking off-site, they were free to try. And they were not forced to construct individual spaces that were wildly expensive (e.g., spaces that forced them to dig a second garage level). Minimum parking requirements address a real problem (the demand for off-street parking), but also tell developers how to solve that problem (provide a set number of covered spaces on-site with every unit). Removing parking requirements doesn’t remove the problem (buyers might still want parking), but it does remove the one-size-fits-all solution. Developers can provide parking in the way they think is best, the same way they already provide pools, fitness centers and other amenities. This suggests some important lessons. First, removing a parking requirement is not the same as prohibiting parking; ending a mandate is not the same as enacting a ban. Second, because developers remain free to provide parking, cities can remove parking requirements even if most people drive. The end of parking requirements doesn’t assume the end of driving. Plenty of people drive in downtown LA (it’s Los Angeles, after all). And when most people drive, most developers supply parking. But what if some developers do construct buildings without parking, and residents do bring cars? That situation arose in Portland, Oregon in early 2013, and caused both street parking congestion and a zoning controversy. 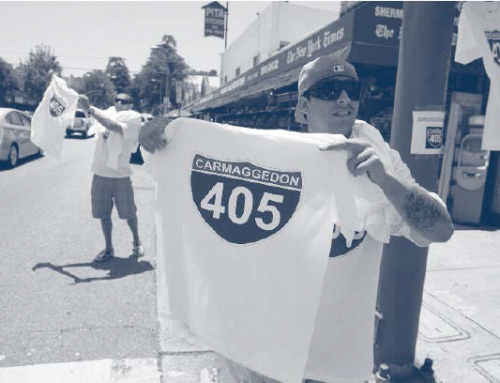 Yet nothing of the sort occurred in Los Angeles, for a simple reason: LA regulates its downtown streets. There is no destructive competition for free street parking in downtown LA because there is no free street parking. Downtown streets are metered from 8 am to 8 pm, and on most streets overnight parking is prohibited. This is perhaps the most important lesson of the ARO: deregulated off-street parking needs regulated on-street parking. When cities don’t give on-street spaces away for free, developers will provide—and drivers will pay for—spaces off-street. Minimum parking requirements force a marriage between housing and vehicle ownership, and make it hard to build housing for people without cars. Because parking can consume so much space and money, parking requirements needlessly reduce variety in the type and location of housing available: they render some parcels, buildings and neighborhoods unprofitable for residential development. This result is unfortunate. Housing consumers, like consumers in all markets, have myriad tastes. Of course many people want parking attached to their unit. But “many people” is not “everyone.” Some people will live in buildings with little parking. Maybe these people don’t drive, or don’t mind parking a small distance from where they live. Perhaps they could not afford housing if it automatically included a parking space. Parking requirements deprive these people of options, and threaten the vitality of cities. 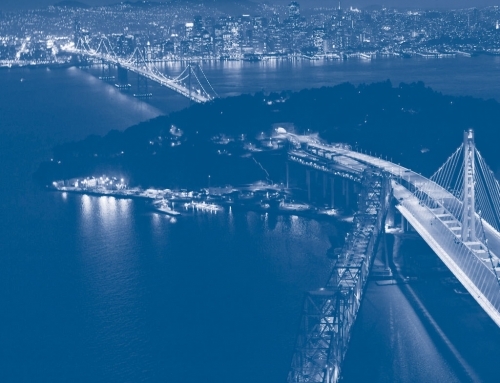 Cities thrive when they offer more rather than fewer choices; cities that remove parking requirements will create more diverse and inclusive housing markets, and become more diverse and inclusive places. Cities thrive when they offer more rather than fewer choices; cities that remove parking requirements will create more diverse and inclusive housing markets, and become more diverse and inclusive places. 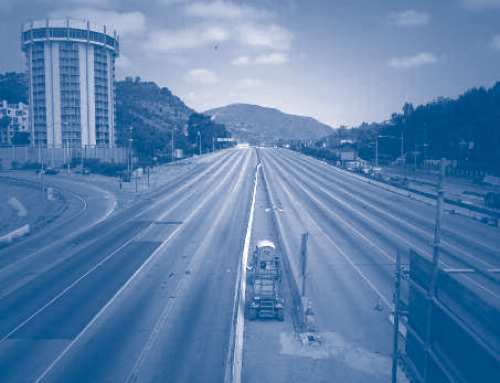 This article is adapted from “Parking Requirements and Housing Development: Regulation and Reform in Los Angeles,” originally published in the Journal of the American Planning Association. Michael Manville. 2013. “Parking Requirements and Housing Development,” Journal of the American Planning Association, 79(1): 49–66. Michael Manville, Alex Beata, and Donald Shoup. 2013. “Turning Housing into Driving,” Housing Policy Debate, 23(2): 350–375. Donald Shoup. 2011. The High Cost of Free Parking. Chicago: Planner’s Press. 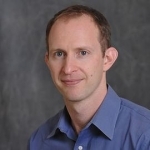 Michael Manville is Assistant Professor of Urban Planning in the Luskin School of Public Affairs at the University of California, Los Angeles (mmanvill@ucla.edu).